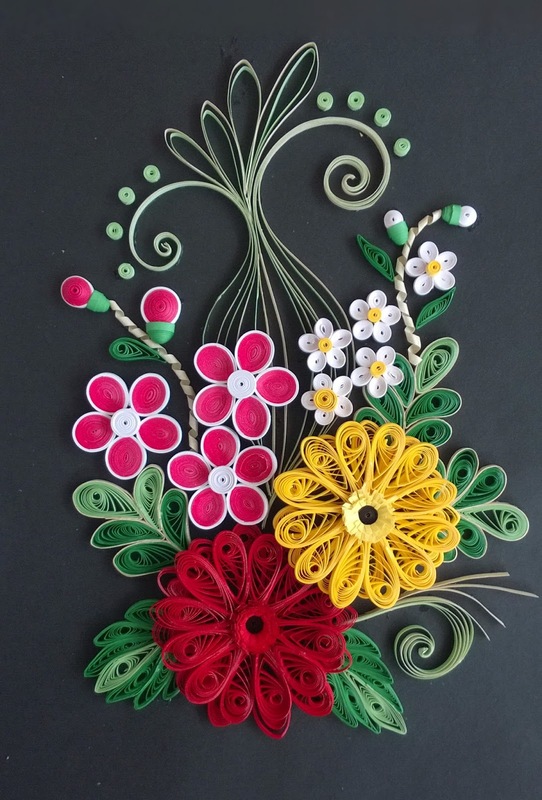 daffodils: 'Blooms' A quilled picture. I needed to make a quilled wall hanging to be given as gift. As usual I searched the net for some ideas and saw quilled gerbera by Manuela Koosch which looked so original. But I didn't have different sized papers to try for original touch. Here is what I came up with. I wanted to do a spray of white small flowers which I incorporated into this picture.